I didn’t find the time to make homemade ice cream this weekend like I’d hoped so instead we’re settling for fresh peaches over vanilla ice cream for dessert. Yum! Cook the pasta according to the package. Reserve 3/4 cup of the cooking water; drain the pasta and return it to the pot. Meanwhile, heat oven to 350 degrees. Spread the walnuts on a rimmed baking sheet and toast, tossing occasionally, until fragrant, 8-10 minutes. Heat the oil in a large skillet over medium heat. Add the corn, garlic, and 1/4 teaspoon salt and pepper and cook, tossing occasionally, until the corn is tender, 2 to 4 minutes. Serve sprinkled with the oregano, walnuts and goat cheese. This entry was posted on July 14, 2013 by milledavis. 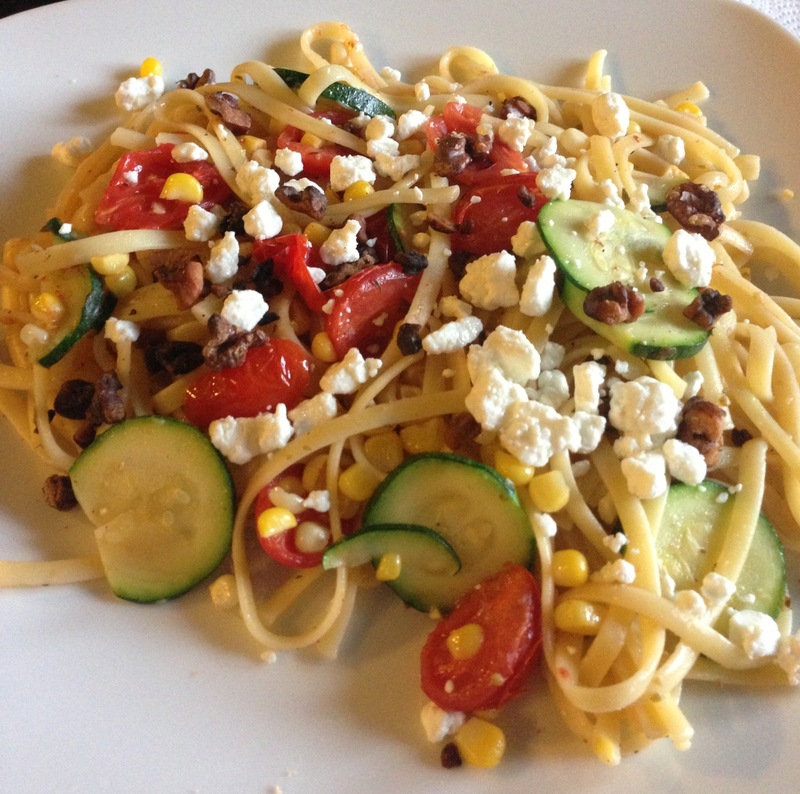 It was filed under Recipes and was tagged with food, goat cheese, pasta, recipe, summer pasta, vegetables.